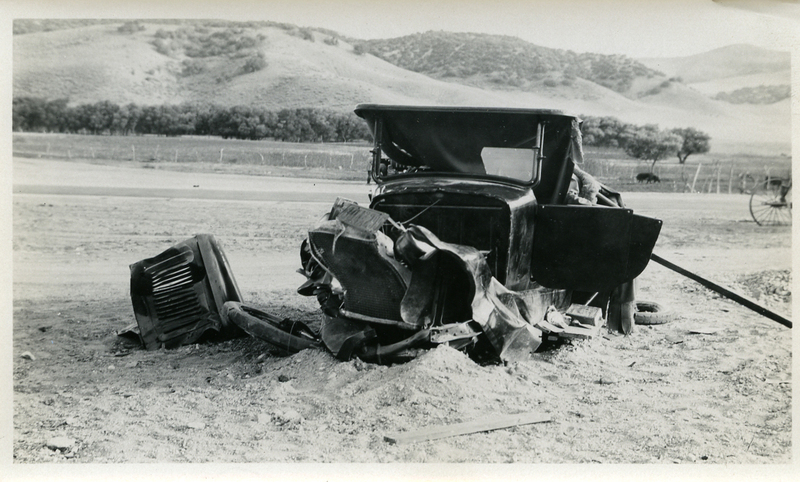 SCVHistory.com AL2094 | Gorman | Auto Wreck Near Gorman, 9-5-1925. Photograph of auto wreck near Gorman, September 5, 1925. AL2094: 9600 dpi jpeg from original photograph, collection of Alan Pollack.